Our range of products include infant warmer aoma - 1000, instrument cabinet, height adjustable mayo trolley, hospital baby bed, hospital stretchers and folding stretcher. We are offering Infant Warmer Aoma - 1000 to our clients. 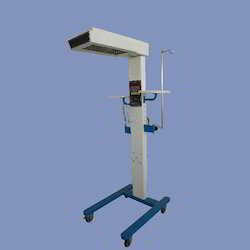 Microprocessor based design, clear large display, scan mode operation, programmable alarm mute time, automatic over-heat and over temperature protective system, Infrared heater, servo-manual mode operation, IV pole, Pump mounting pole, monitor tray, Halogen lamp for observation, swivel heater unit, PT 100 Temperature probe, Interchangeability (Calibration not required), Accuracy +/-10 Deg C, Alarm for temp-low, Temp-high, probe failure, power failure, system failure, indication of heater output percentage, time-on/time-off,on swivel casters. With a precise understanding of the relevant industry, we introduce ourselves as the leading manufacturer, wholesaler, trader, importer and supplier of Instrument Cabinet. The offered instrument cabinets are precisely manufactured with high-grade material and latest technology. 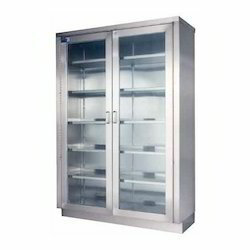 These instrument cabinets are quality tested against predefined quality parameters so as to dispatch a flawless range. 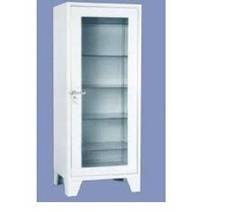 Customers can avail the entire range of instrument cabinets from us, as per their needs, at a nominal price. 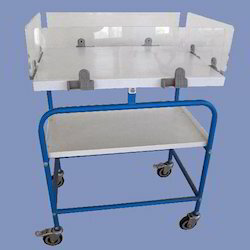 Backed by an adroit team of professionals, we are actively devoted towards manufacturing, wholesaling, trading, importing and supplying optimum quality Hospital Baby Bed. Used to keep infants in hospitals, nursing homes, our given range of baby bed is widely acclaimed for its durability. This baby bed is precisely designed at our well-equipped manufacturing unit. Along with that, we supply this baby bed from our end after conducting a proper test against them. 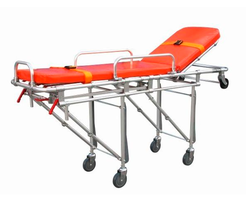 Our organization makes available for the clients a quality assured a range of Hospital Stretcher. These are manufactured as per the latest industrial standards. We hold expertise in customizing them as per the specifications provided by the clients. 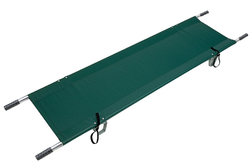 We are offering Folding Stretcher to our clients. 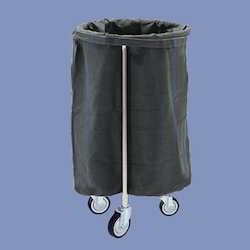 We are offering SS Soiled Linen Trolley to our clients. 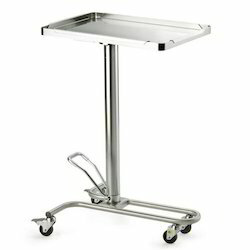 With the assistance of our able professionals, we offer an array of Movable Cabinet Drawers. These drawers make for an excellent utility item for storing small items like medicines, papers, small instruments among others. These are provided with three drawers for an enhanced storage capacity. Clients can avail these products at nominal prices.